Renting a small apartment have more advantages than larger ones. Aside from having a low rent price, you can easily make it cozy as you want it to be, if you really know how to decorate. Maybe you’ll think that it’s easy because it’s just a small space and you have no choice but this is a misconception. Small apartment requires and must be focused on the functionality rather than design. Your apartment might be short on space, but that doesn’t mean it has to be short on style. 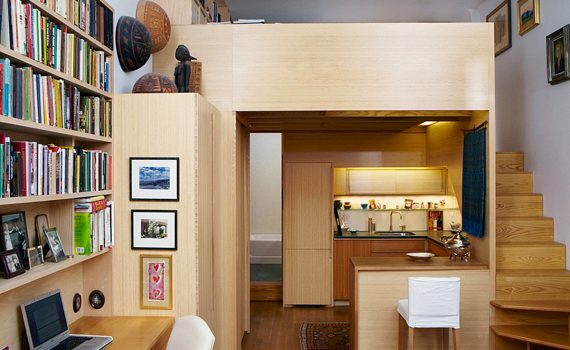 Read more below to know the things you probably don’t know when designing a tiny apartment. When dealing with a small space, every inch counts. Make the most of the room you have by investing in furniture pieces that will do double duty. Whichever dual-purpose furniture you choose, make sure to select pieces that are size-appropriate to your space. Overstuffed models will only serve to make your living space look even smaller. Storage takes much of our space but going for vertical spaces can look surprisingly good and functional. Tall, narrow storage systems are your best bet when trying to get the most storage out of the least amount of space. For example, place two identical bookshelves on either side of a doorway for a built-in shelving look. Keep things light when choosing apartment color. Light colors will make your space look wider because dark colors have a tendency to make spaces appear smaller to the eye. When choosing your palette, focus on using three colors: two, light, bright shades that decorate the majority of the space. Then, add in one darker accent color to ensure things stay visually interesting. Make an effort to go through your possessions and re-evaluate what are the things that should be kept. You’ll be surprised how many items are less than necessary and how much clearer your home looks once you’ve finished.